Breckenridge decided it was time to make a change. In addition to speeding up the painstaking process of collecting signatures, they wanted to more easily communicate with and educate applicants, while also gaining flexibility in the permit forms themselves. These were the key factors in selecting ViewPoint Cloud after demoing several other products. 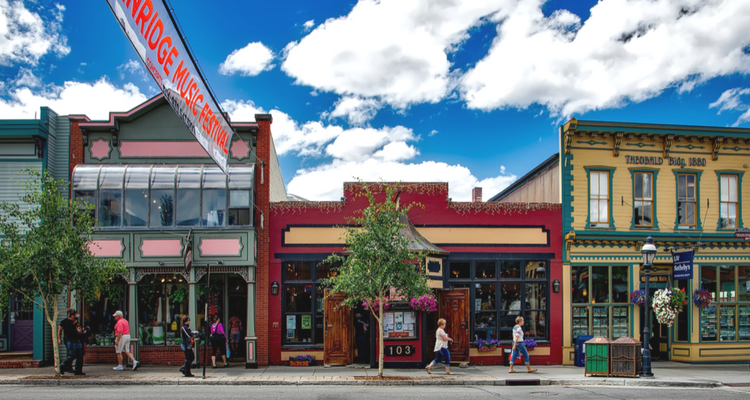 Since going live with their ViewPoint Cloud portal in March of 2017, Breckenridge has seen major gains in efficiency, communication, and user satisfaction. Having made a complete switch to digital submissions, permits now take an average of only 3-7 days to complete. Slow, paper special events permitting is no more. The Breckenridge Tourism Office also has regular meetings with the Town’s government employees who are most called upon to sign off on permits. The feedback there has been positive as well. Herwehe noted that there was a transition for some applicants who were accustomed to paper permitting, but after explaining the system and getting them started, everyone involved has been extremely happy with the experience. On the internal side, ViewPoint Cloud’s integrated support team has helped office staff members quickly address any hiccups throughout the process. This new workflow has paid dividends during a time-crunch for a larger events, but also for the Town’s most regular permittees. For example, the Sunday Farmers’ Market runs every week from July through September. With the previous system, the market would have to submit a separate permit for each day they planned to operate. With ViewPoint, Breckenridge has been able to issue one permit covering the recurring event without losing their avenue for continued communication. Stakeholders can keep track of their comments under the one digital permit and easily hear back from the applicants about any issues. The Town has also seen an increase in film shoots—and revenue—as a result, because applicants prefer Breckenridge’s online system over what neighboring towns offer. To Herwehe and her team, transitioning from paper to ViewPoint Cloud has made all the difference. She encourages other local governments looking to improve customer service and streamline operations to begin looking at modern, user-friendly software too.